This week was all about banks. Four out of five of the major phishing campaigns we detected this week targeted bank customers. That is not to say the other targets (Apple, PayPal, etc) were neglected; just that the volume of phishing attacks on banking customers were by far the greatest. The sole exception was Friday, when a new campaign targeting Apple users commenced. Read on for our week in review. As always, you can click on a link to see the story in full, together with screenshots of the phishing emails in question. We started the week with an email informing the recipient that “suspicious activity” had been detected on their account. The consequence was that the user’s account was blocked from any transactions. Of course the email provides a solution to the issue. Click on a link and verify your account. It is a bogus email. Who wouldn’t jump at the chance to receive an AUD $5000 cash bonus, especially when a bank is offering it? Not many people, we suspect. This phishing email promised exactly that to 100 Westpac customers. All they needed to do was click on a link and provide their banking details (just for verification purposes, of course). It is another scam, just with a different carrot. A Diamond card statement awaits you, according to this phishing email targeting NetBank customers. We suspect a few people would think “What Diamond Card?” This may be enough to entice users to click on the link. Irrespective, this email is a fake, and can be deleted. 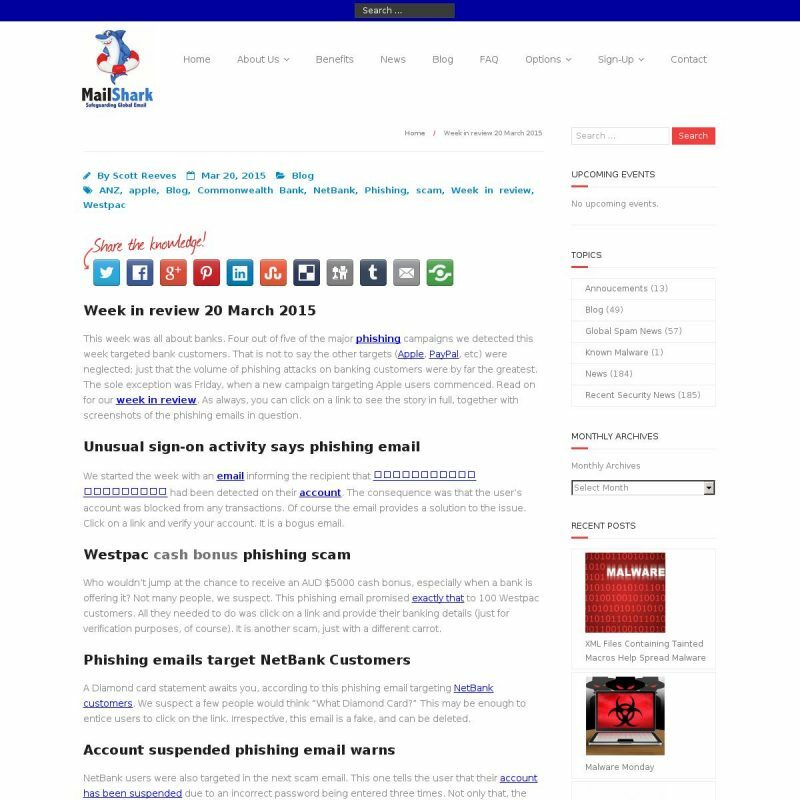 NetBank users were also targeted in the next scam email. This one tells the user that their account has been suspended due to an incorrect password being entered three times. Not only that, the funds have also been suspended. Luckily, a link in the email is provided that will enable you to resolve the situation. Well, it would, except this is a fake email. Click on the link and you almost certainly will have problems. Account temporarily suspended warns phishing email Apple users were the target of the final phishing campaign of the working week. As usual, the email informs the user that their account needs to be verified. It’s all very bad, but if you respond within 24 hours, all will be solved. Or not, as the email is a phishing email. Once again, the criminals want to steal information such as credit card details, with the intention of committing fraud.